First Group are launching a series of new apps for each of their operating businesses in the first half of 2017. The new apps include. 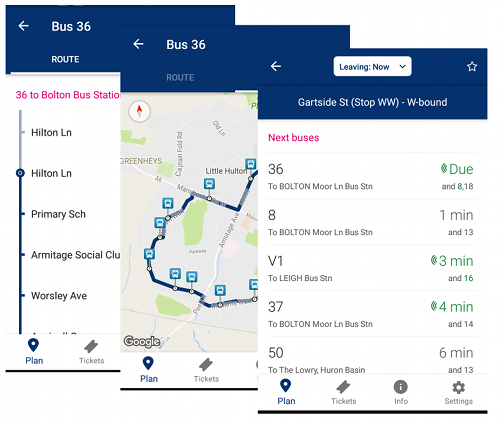 “First Bus” on iOS and on android, and also “TransPennine Express” on iOS and Android, with more apps to appear over the next few months. These apps were created by The App Business who we’ve been working closely with, to help design the data interactions needed to power their user interfaces. Generally the apps are making use of TransportAPI’s live bus/train departure queries, and places lookups, with some interesting challenges around ids being used to cross-reference.